Allergan, the creator of LATISSE®, is a global leader in health care, with expertise in eye care, neurosciences, dermatology and medical aesthetics. Our scientific excellence and discovery-to-development research have been helping people for 60 years. 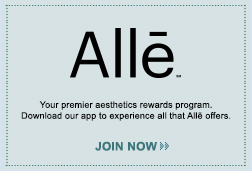 For more information, visit Allergan.com.